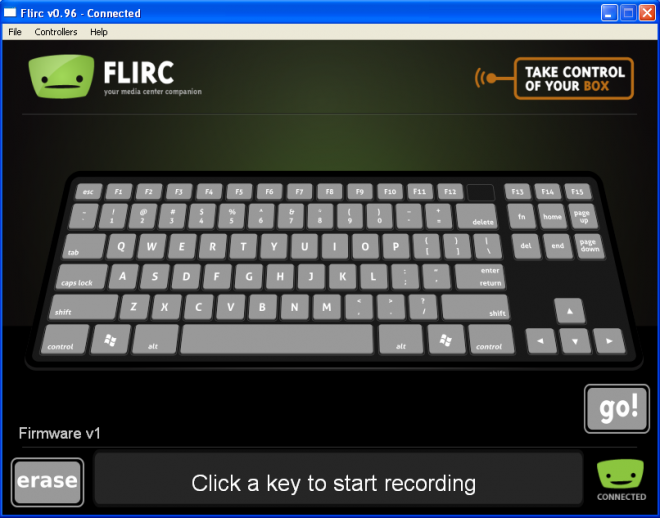 I'm using flirc and it's great!! I'm from Italy and i'm using standard qwerty italian layout. Although this is not a problem for normal keys like letters or numbers, it is a big problem when i want to pair special keys like the plus sign or slash. I've tried also pairing them with command line utility flirc_util.exe, but it is the same. Every time i use XBMC i have to switch keyboard layout and this is very annoying because i'm using flirc on a HTPC without keyboard so i manually have to do it by connecting a mouse. Ok, here's the image I found for the Italian Keyboard layout. I don't know if this is what you're using or not. I want to know what keys you are binding to the "-" and "=". Here is the link to XBMC's keyboard shortcuts page btw. Yes, this is currently a problem I'm trying to figure out. I'm not quite sure a good way to do this yet, but it's definitely an issue. This sounds like it is because your computer is expecting an Italian keyboard. So try binding Volume Down to the / key, down next to Right Shift. This looks like it is the - "Minus" key on your physical keyboard. Since we're already in the Ideas & Suggestions area. Maybe forego the full-keyboard GUI and just allow physical keyboard inputs. Just have a box that you type in the character that you want to bind to, hit GO and bind the IR signal from the remote? Or leave the physical keyboard screen and just add that one in. Seems like it would fix issues like this as well as allow you to avoid creating Full Keyboard screens for every country's different versions. I'm no programmer, so I have not a clue as to how difficult or time consuming this may be. I've temporarily adopted a solution... Since i know a little about C# programming, i've written a simple application. It basically runs at startup and looks for XMBC windows instances to automatically change send the keyboard layout change command to XBMC. It's not the perfect solution, but since we don't have the possibility to change Flirc's keyb. layout, it works fine for me. I hope the programmer will include features like this in future releases, it would be cool!